1000 (Queen) individually wrapped coils isolate motion and lessen the disturbance of a sleep partner. Steel coils and edges provide superior edge support. Provides instant cooling relief designed to help you get to sleep more quickly. 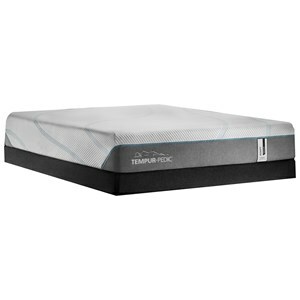 The Fountain Hills Lux FEPTH Full Firm Euro Pillow Top Hybrid Mattress and 6" Low Profile Steel Foundation by Mattress 1st at Thornton Furniture in the Bowling Green, Alvaton, Glasgow, Scottsville, Franklin area. Product availability may vary. Contact us for the most current availability on this product. 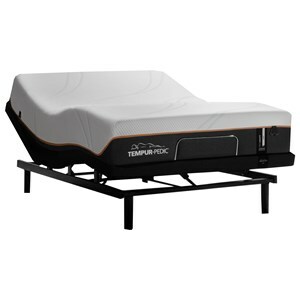 500952033-1030 Full Hybrid Mattress 1 15"
500965799-6030 Full 6" Low Profile Steel Foundation 1 6"
Get the best of both worlds with the Fountain Hills Lux Firm Euro Pillow Top Hybrid mattress from Mattress 1st. The 1000 (Queen) Individually Wrapped Coil (IWC) System with Coil Encasement and Firmer Support Coils work with the contours of your body for optimal support throughout the entire mattress. A layer of Gel Active® Gel Memory Foam provides personalized comfort while a layer of Gentle Support™ Foam gives you additional comfort and firm support. The top features another layer of Gentle Support™ Foam and Gentle Support™ Aire that both provide extra support and comfort where you need it most. Finally, a Cool Harmony™ PCM Fabric gives you instant cooling relief. This mattress is ideal for stomach and back sleepers. The Fountain Hills Lux FEPTH collection is a great option if you are looking for Mattresses in the Bowling Green, Alvaton, Glasgow, Scottsville, Franklin area. Browse other items in the Fountain Hills Lux FEPTH collection from Thornton Furniture in the Bowling Green, Alvaton, Glasgow, Scottsville, Franklin area.